Thankfully I think things have changed now, and its time for us to reclaim stuffed vegetables and the delicious dish they can be! This recipe is mildly flavoured, and comforting. It was really quite an experiment, but turned out to be very quick and easy to put together! The sauce could take so many different flavours if you wanted to jazz it up a bit (herbs, garlic, chilli that sort of thing), and would be easy to scale up. I enjoyed the sauce just as it is this time, but I’ll definitely be experimenting more with it! I ate my tomatoes with some garlic bread for a very pleasing light meal. Cut the tops off the tomatoes and set aside. Carefully scoop the seeds and core from the tomatoes and discard. You could save them for a dressing or something like that if you liked though. Next make the sauce. Heat a saucepan on a medium heat and tip in the walnuts. 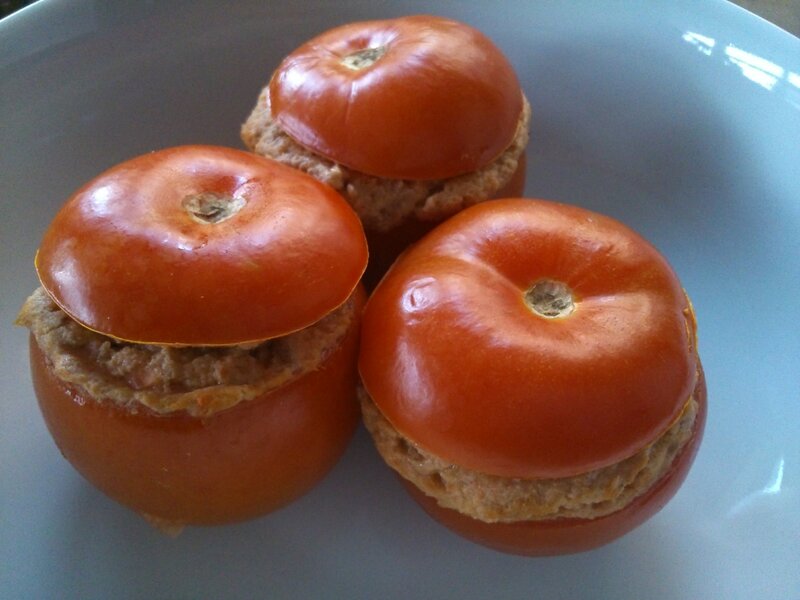 Cook for 3 minutes, stirring frequently, until they smell toasty and fragrant. Cook the carrot until nice and soft, I steamed mine in the microwave for 3 minutes. Blend the walnuts and carrot with the rest of the filling ingredients until smooth (ish). It was too small an amount to go in my blender, so I used the chopper attachment for my immersion blender. I imagine you could get it good and smooth using a proper one. Fill the tomatoes and pop the lids back on. 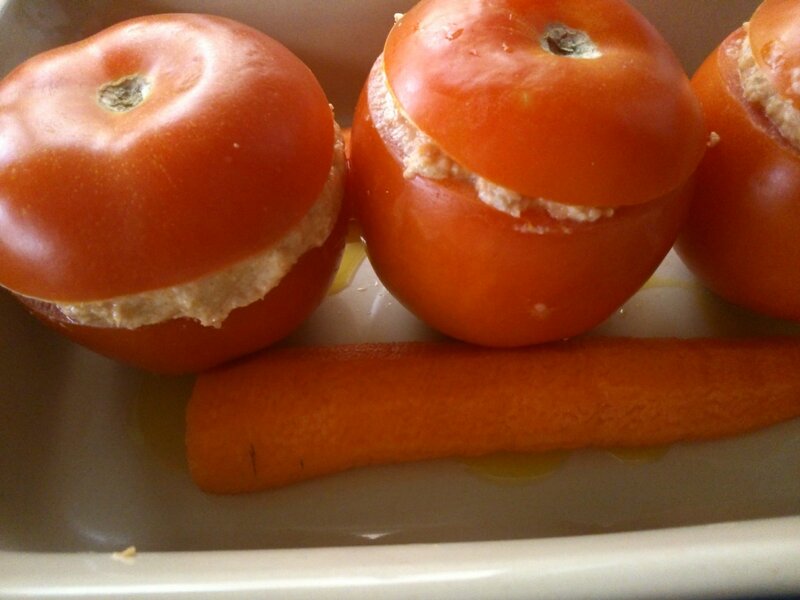 Drizzle the oil into a small baking dish and sit the tomatoes on top. Cover with foil, and bake for 35 minutes.